Keith McNally’s Former Head Chefs Open Frenchette in TribecaGet ready for rotisserie lobster, steak of the day, and plenty of natural wine. Japan Gripped by Crippling French Fry ShortageA West Coast port dispute is denying the largest importer its frozen potatoes. Even McDonald’s Won’t Use GMO PotatoesYou can pry their French fry baskets from their cold, dead, GMO-free hands. This French Fry Vending Machine Is Poised for Global DominationJust don’t try to shake it when the fries get stuck in the chute. Burger King Debuts Crinkle-Cut Fries It Claims Are Relatively HealthyDo it till you’re Satisfried. 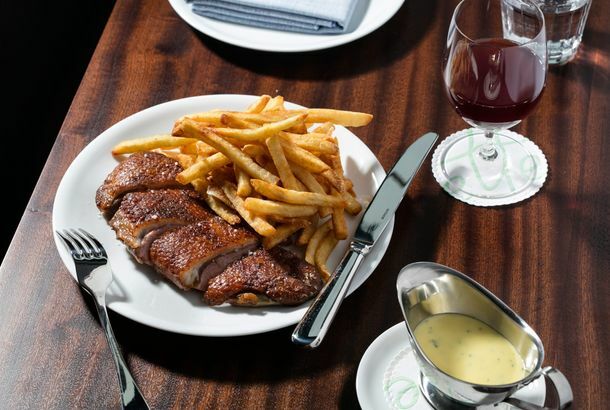 Adam Platt on Shake Shack’s New, ‘Fresh’ FriesOur resident restaurant critic heads over to Danny Meyer’s burger chain to see if his newfangled fries are better than the crinkle-cut originals. 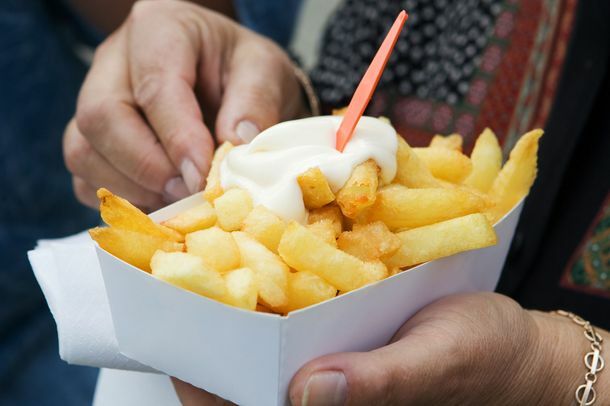 Of Course You Can Get Weed Mayo for Your Fries in the NetherlandsThe real question is, is Wietsaus better than fritessaus? Metra Market Gets a Belgian Fry ShackFrietkoten, an authentic Dutch/Belgian fry shack, is set to open. A Crinkle-Cut AboveAnother contender for top French fry. Alain Ducasse Judges New York’s French FriesA taste test of some fine spuds, with a surprise winner. Freemans Closing Briefly for Renovations; Burritos No LongerA Wondee Siam will soon service Columbia students, and so many fries to try, so little time, in today’s neighborhood food news.